Free Practice 1 + 2: In the free practice sessions all the three Kaufmann Drivers showed a very strong pace from the first laps on. In the first free practice session Kevin Jörg was able to set the 2nd fastest time followed by his teammate Ryan Tveter on P 3. Gustav Malja first trying the race settings was P 17. In the second free practice all Kaufmann Drivers ended up in the top ten. Kevin Jörg on P 3, Gustav Malja on P 5 and Ryan Tveter on P 9. Qualifying 1: In the first qualifying session Kevin Jörg and Gustav Malja ended up P 4 and P 5 in the group. Ryan Tveter unfortunately only on P 9 in the group. On the grid: Jörg P 7, Malja P 9 and Tveter P 18. Race 1: Tveter had a good start and was catching other drivers straight away. After a good race he ended up on P 15. 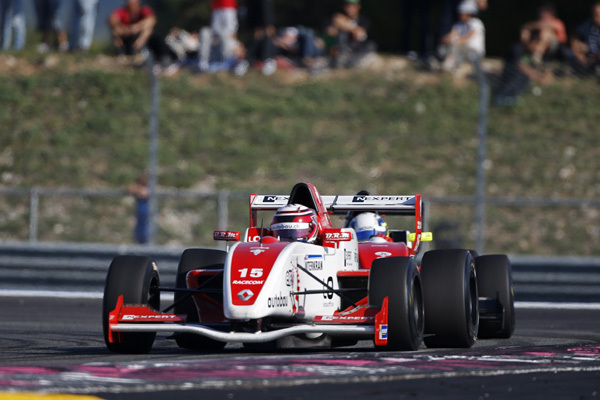 Malja and Jörg had a good start as well and were running P 6 and P 7. After some hard overtaking moves Jörg finally finished P 7 and Malja in the last two laps dropped back to P 9 after a little run off. 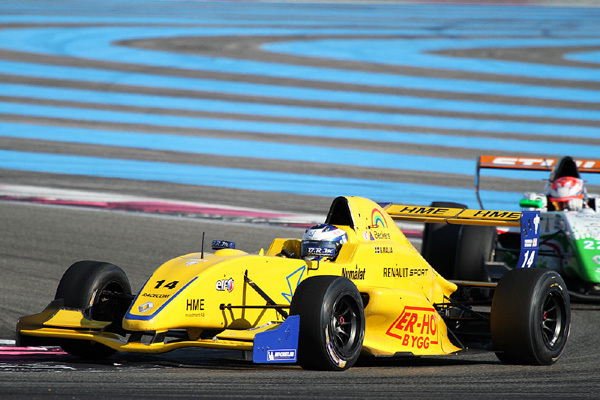 Qualifying 2: In the second qualifying Jörg and Malja improved to P 3 and P 4 in the group. Tveter strong as well on P 5 in his group. On the grid: Jörg P 5, Malja P 7 and Tveter P 10. Race 2: Tveter again had a good start und moved up one position untill he was forced off the track due to an unsafe rejoin from a driver who came from the back of the field cutting the first corner. Tveter had a hard impact on the run off area and it was neccessary that the Rescue Team came to get Tveter out of the car. Tveter suffered some neck injury but will be fine again. After the red flag sequency Jörg and Malja were running P 6 and P 7 untill the end of the race, taking more solid points for the championship.